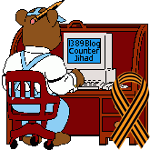 2010 July — 1389 Blog - Counterjihad! Where did that “Caturday” Internet meme come from, anyway? Jihad, Stealth Jihad, Legal Jihad – Now Tennis Jihad! "You Can’t Be Serious!!!"